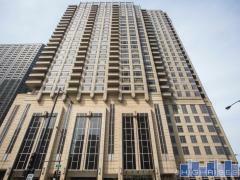 Superior House is an exclusive condos building located in River North's Gallery District. The building boast an array of luxury amenities including a sky deck with a lounge, fire pit, bar, kitchen, garden, and dog run, ground floor bike storage, a fitness center with yoga room, and much more. Residences showcase sweeping light filled floor plans ranging from 2-4 bedrooms with floor to ceiling windows and large private terraces. Have any comments or questions about Superior House? Ask your question and/or share your thoughts about this Building.